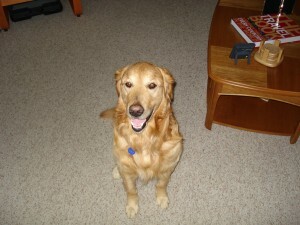 Barb (President, GH) and I picked up Cooper at the Adams County SPCA in January of 2009. It began as a foster to adopt (FTA), but as most of us know it is impossible to not fall in love with them instantly. He pressed his nose through the pet barrier on the way back from the shelter; we bonded before we even made it home. He had a gift for brightening your day. 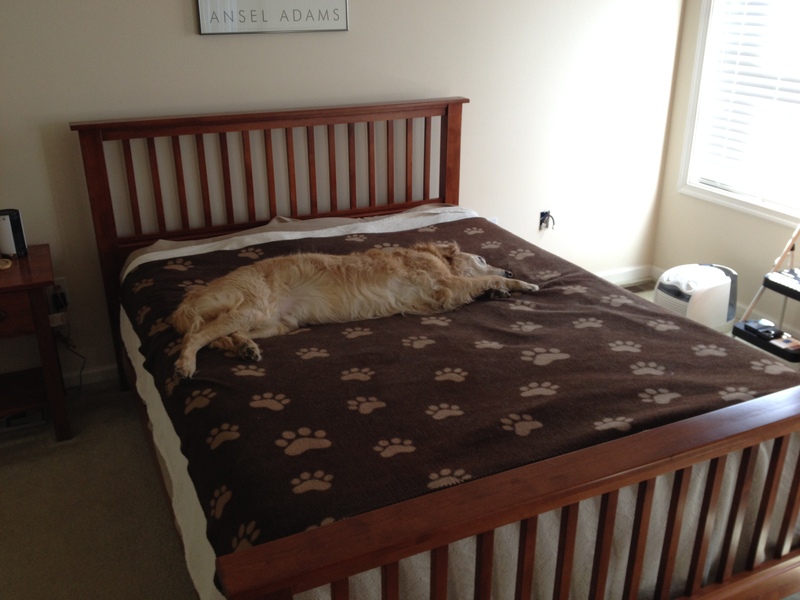 Was always humorous to find him sprawled out on the bed when I got home from work. We travelled together for family gatherings and made the road trip to my aunt’s cabin on multiple occasions. He wasn’t sure about the water and would only put his front paws in, would bark at us from the dock when we took the kayaks out on the lake. My parents loved to take him on field trips to the local park and to Woofstock. So many fond memories… He crossed over the Rainbow Bridge in May 2016 and took a piece of our hearts with him. Can’t thank GoldHeart enough for the unforgettable years we shared with our boy. We miss you Coop!